How does Acetyl Sulfisoxazole (Gantrisin) work? Acetyl Sulfisoxazole (Gantrisin) is a competitive inhibitor of enzymes. It stops the bacterial synthesis of dihydrofolic acid by avoiding the concentration of the pteridine with para-aminobenzoic acid (PABA). It is a substrate of the enzyme disydropteroate synthetase. The inhibited response is necessary for these bacteria for the synthesis of folic acid. Why use Acetyl Sulfisoxazole (Gantrisin)? 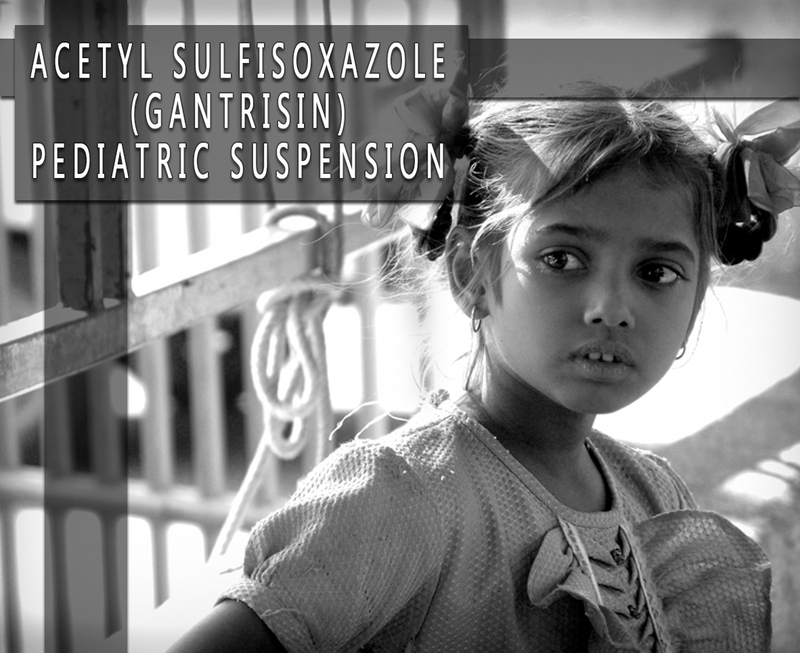 Acetyl Sulfisoxazole (Gantrisin) is an antibacterial sulphonamide or sulfa available as a pediatric suspension for oral administration. This medicine is slightly yellow or a white, and crystalline powder. This is practically insoluble in water and slightly soluble in alcohol. Food and Drug Administration (FDA) has already approved this medication. You can buy this here at its very reasonable price. How to use Acetyl Sulfisoxazole (Gantrisin)? The recommended dosage for this medication depends on your condition, age, and weight. The maximum dose should not exceed 6gm/24 hours. The initial dose must be one half of the 24 hours dose. Follow the dosing instruction of your doctor very carefully. Do not twice the dose. Take this at the same time each day. What are the side-effects of Acetyl Sulfisoxazole (Gantrisin)? This medicine should be given with caution to patients with impaired renal or hepatic function. This is also should be used with precaution to those with severe allergy or bronchial asthma. This may have serious reactions like rash, fever, sore throat, or jaundice. Tell to your doctor if you have any medical history or current medications. Consult your doctor before taking this medicine if you have any allergies.